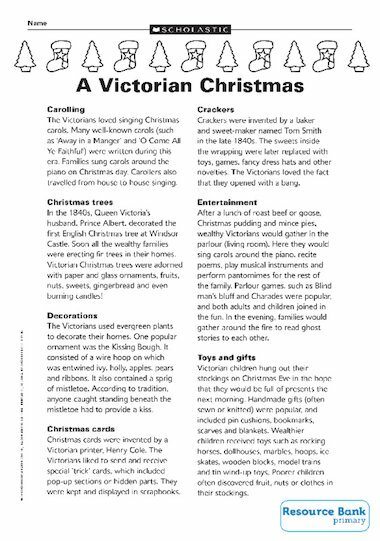 Facts and worksheets about aspects of Victorian Christmases. my review is all about Christmas because I don’t celebrate it so I want to now more about it. I didn’t know Victorians had meat in mince pies!! !